Bath and North East Somerset Council has granted Bath Spa University planning permission for the development of new residential accommodation designed by Hopkins Architects at its Newton Park campus. The planning approval was granted at a meeting of the Council's Development Control Committee, which voted unanimously in favour of the proposal. This followed a lengthy process of stakeholder consultation and design development with students and staff at Bath Spa, English Heritage, Natural England, the Duchy of Cornwall, the Prince's Foundation and Bath and North East Somerset Council. 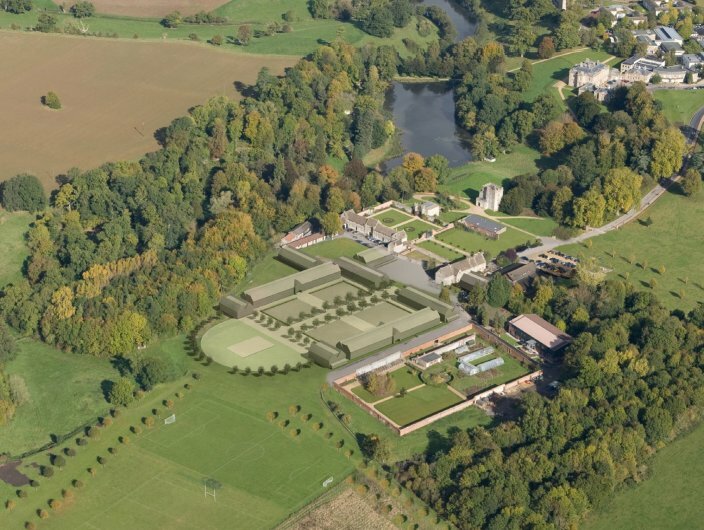 The site is in the context of a Grade II listed Capability Brown registered park and garden with a number of Scheduled Monuments and listed buildings. Vice-Chancellor, Professor Christina Slade said: "This is excellent news for Bath Spa and we are delighted that our plans to improve facilities for our students in coming years can now be fully realised. The new residential development will ensure we can guarantee university accommodation to all eligible first year students. The impact on the local community was also an important consideration and by accommodating more students on campus, we will help reduce the pressure on housing in the city. This, together with our superb new academic building, will confirm Bath Spa as a leading university for creativity, culture and enterprise."